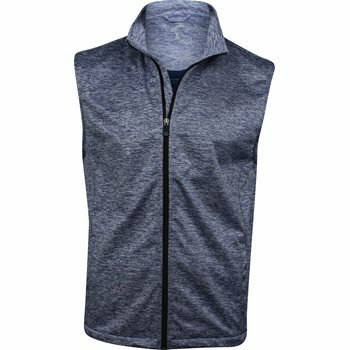 Glen Echo’s Stretch Tech Meringue Vest is breathable and water repellent with a quiet Stretch Tech shell for extreme flexibility. It is made with a bonded jersey interior for enhanced comfort and features a stand up collar for improved weather protection and attached side draw cords for added convenience. Stand up collar with waterproof zipper for improved weather protection. Breathable and quiet Stretch Tech shell offers extreme flexibility. Bonded jersey interior for enhanced comfort.